A decorative wall display insect, the large Silver Atlas Beetle Wall Decoration is a quirky 3D wall art that will add eclectic individualism to your home. Made from Brass and in a Gold or Silver finish, the Silver Atlas Beetle Wall Art Decoration measures 35.5cm in height x 26cm in width x 15cm in depth and has a handy hook on the the underside of the beetle which makes it particularly easy to hang on your walls. Guaranteed to put a smile on your face every time you see it the Silver Atlas Beetle 3D Wall Art is a quirky, eclectic and down right brilliant piece for adding unique personality to your home décor. 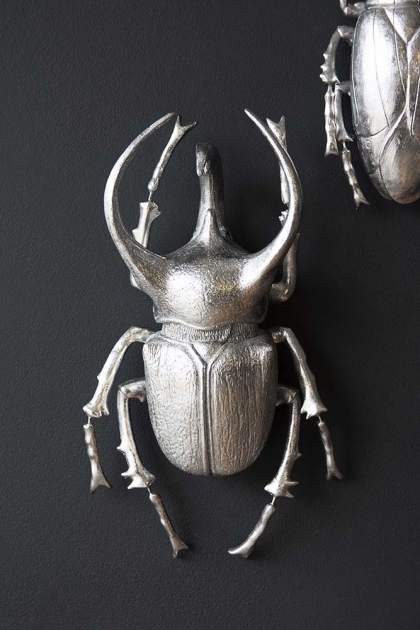 What we think you will particularly love about the Silver Atlas Beetle Wall Art Decoration is how it reminds us of the Egyptian Scarab Beetle which is symbolic of the Egyptian God, Khepri, who was believed to renew the sun each day. 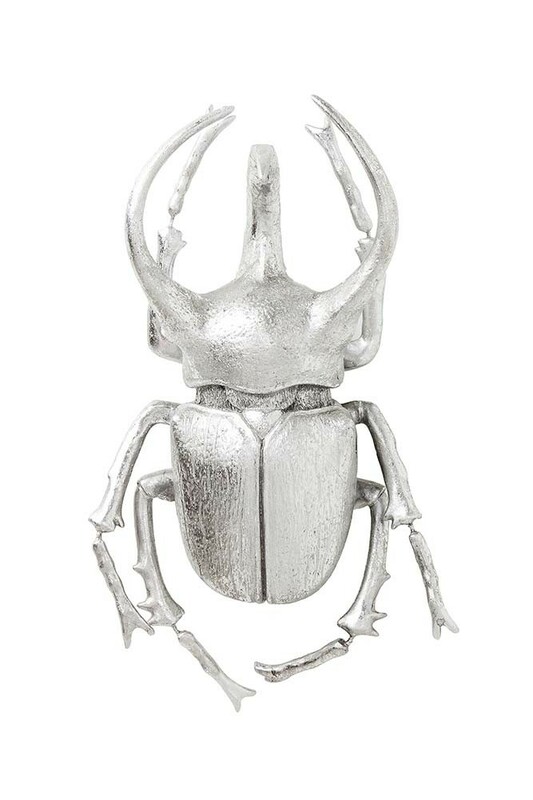 A beautiful sentiment, the Silver Atlas Beetle Wall Art Decoration is a treasured display insect that we know you’ll love. 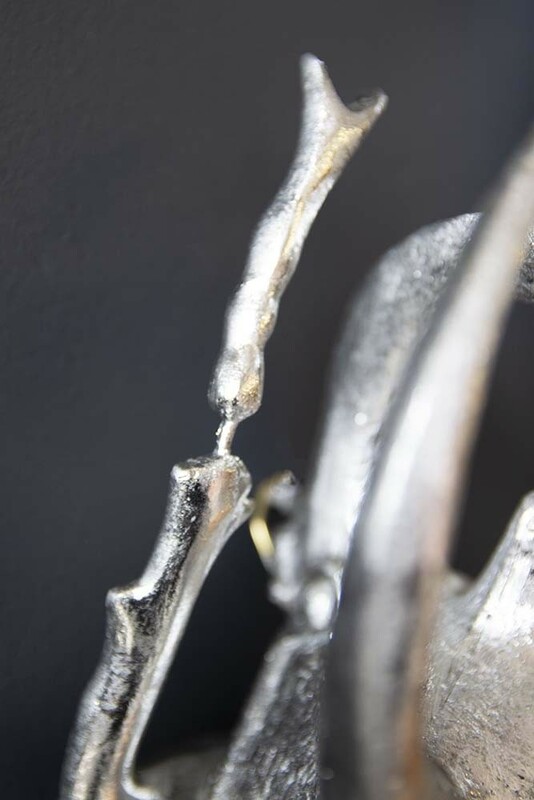 When it comes to styling the Silver Atlas Beetle Wall Art Decoration in your home the trick is to be as imaginative and as quirky as possible! You could style your Atlas Beetle as part of your picture or gallery wall in your hallway, living room or bedroom to add shape and interest to your art display. 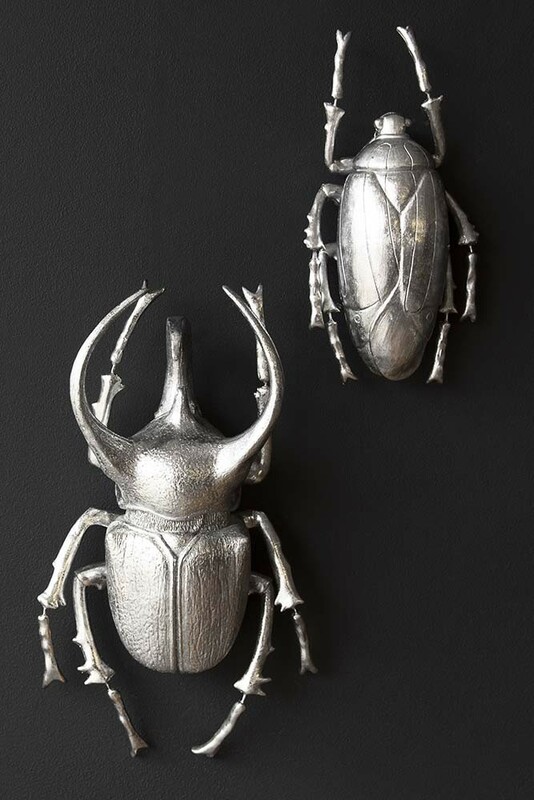 Alternatively, why not invest in a few of our Atlas and Plant Beetles in both gold and silver and create an interesting and imaginative wall display? For example, at our concession on the fourth floor of Liberty London we have created a ‘style spot’ with a number of beetles scaling the wall over our statement armchair. It’s a unique idea and will grab your attention as soon as you walk into the room.